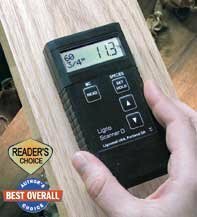 This Lignomat non-invasive moisture meter, ligno is a favorite tool for cabinet makers and floor installers. You can quickly scan large numbers of boards, detect higher moisture levels and water pockets. 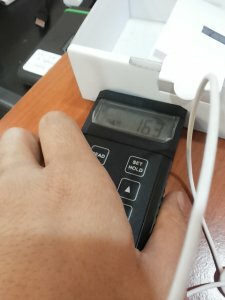 A pinless meter is an indispensable tool when checking finished products or assessing moisture problems after water damage. Ideal for floor applications where pin meters would leave pin marks. Calibrated to give true wood moisture readings in percent and have built-in corrections for different species. This Lignomat non-invasive moisture meter, ligno scanner D is a favorite tool for cabinet makers and floor installers. You can quickly scan large numbers of boards, detect higher moisture levels and water pockets. 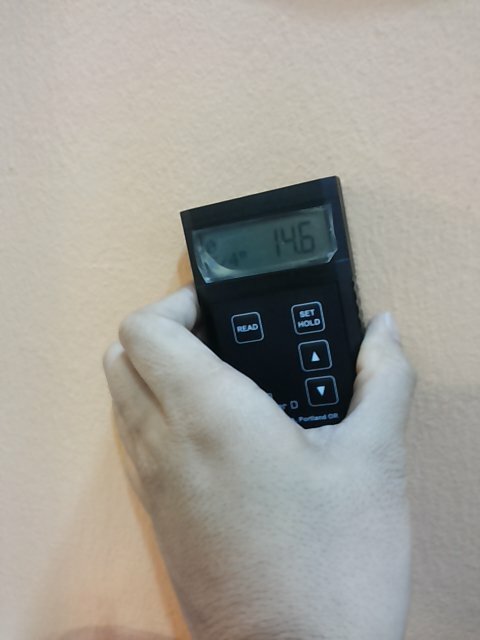 A pinless meter is an indispensable tool when checking finished products or assessing moisture problems after water damage. Ideal for floor applications where pin meters would leave pin marks. Calibrated to give true wood moisture readings in percent and have built-in corrections for different species.